Glynis Quinlan is a journalist, public relations practitioner and trainer in writing skills who loves travel, photography and movies. Glynis hails from the small country town of Kempsey on the mid North Coast of NSW and has lived in Canberra for the past 11 years (with stints in Sydney and London in between). Her working career began as a journalist for rural newspapers before she moved on to become a press secretary working for three different ministers in the NSW Government. After that she worked in public relations including roles in both the business and not-for-profit sectors. From there, Glynis moved into adult education, teaching Military Communications at ADFA and Advanced Diplomas in Journalism and Public Relations at CIT. In recent years, Glynis has been facilitating full-day effective writing courses for public servants in Canberra and interstate. Throughout her career, Glynis has continued to work as a freelance journalist, writing for publications such as The Australian, The Sydney Morning Herald and Vacations & Travel Magazine. 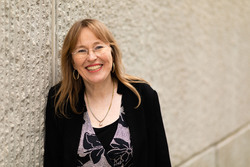 She loves writing and believes that Canberra has many stories to tell.